Displaying an elegant scrollwork design, this Elven Princess Leather Headband is perfect for adding a touch of lightweight fae style to your wardrobe. 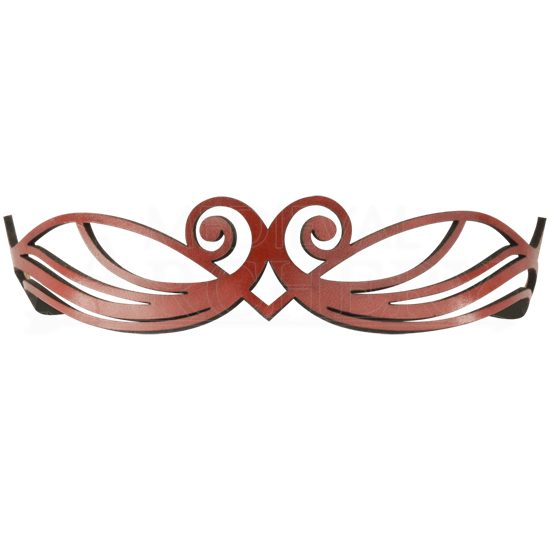 Wear this headband to a Renaissance festival, LARP event, or cosplay convention. This leather headband ties in the back with a narrow white ribbon to give you a custom fit. 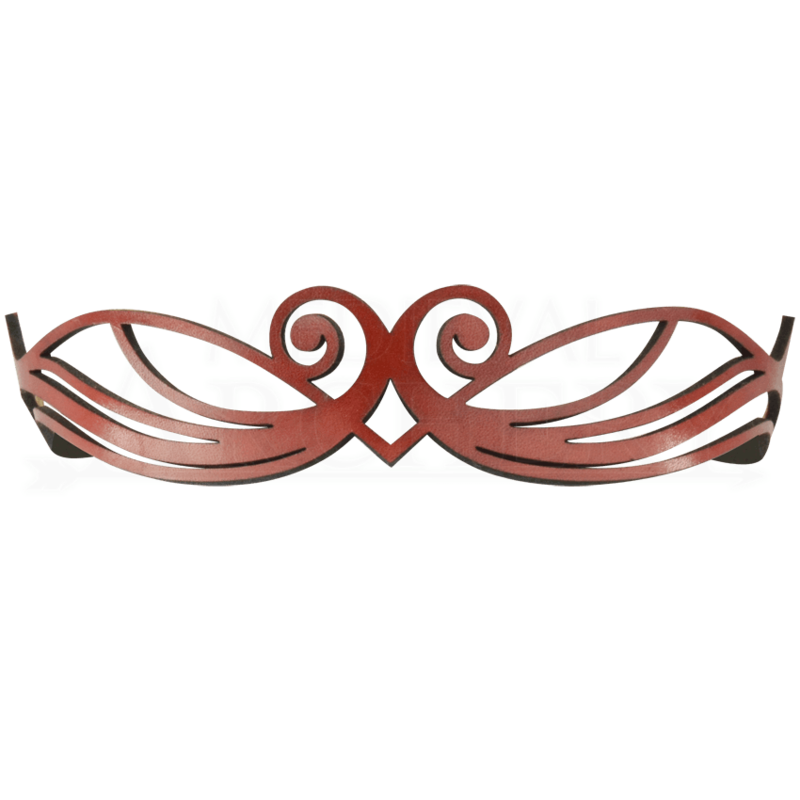 Available in a variety of colors, this elven circlet is hand crafted in our shop from 7/8 ounce vegetable tanned leather. You will find this Elven Princess Leather Headband can be worn with several hairstyles, either with or without a matching veil. Give this as a gift to the elven princess in your life! 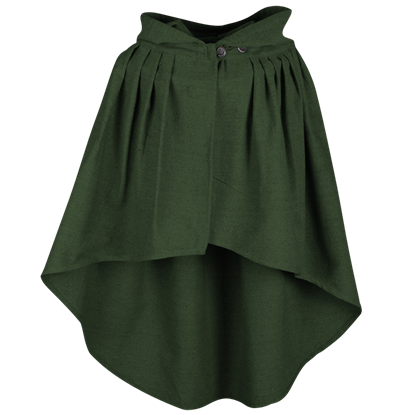 A gorgeous addition to any medieval ensemble, the Niko Mantle Cloak serves as an excellent outer layer for a wide range of looks. The medieval shoulder cape features a pleated collar that gives the piece a distinctive style. 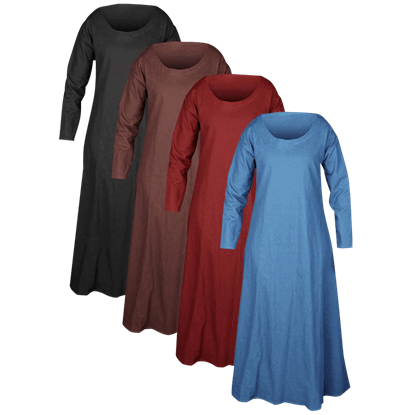 An essential component of any medieval wardrobe, the Lenora Premium Canvas Tunic is suited for wearing underneath dresses, bodices, gambesons, and more, making it the ultimate undergarment for historical reenactment and LARP events.